The November Handicap is the final big prize of the Flat turf season – and used to symbolise the end of the season as a whole until the restructure took place a few years ago – so it is a notoriously competitive affair, with recent winners Times Up, Litigant, Prize Money and last year’s victor Saunter all going on to either win or contest in pattern company. John Gosden is the joint-leading trainer in the race with five wins, his latest success coming when Zuider Zee took the 2011 renewal, and he once again has a solid chance here in the shape of Royal Line. A beaten favourite in this race 12 months ago, Royal Line has looked an improved performer this season, coming on a bundle for his reappearance when winning a handicap at Epsom in April with ease. It is a slight concern we haven’t seen him since, but it could be connections have been waiting for some ease in the ground, something which he should get here (the ground is currently good, with rain forecast on both Friday and Saturday). The handicapper has reacted accordingly for his latest win, however, raising him 10 lb, but this lightly-raced four-year-old potentially has much more to offer (well-made type) and he fully justifies favouritism. You only have to go back to 2016 to find the last three-year-old winner of this race, but looking at the recent stats, the classic generation don’t have a great record in this race, and My Lord And Master is the sole representative from that age category in this year’s renewal. Connections were probably hoping he wouldn’t be plying his trade in handicaps at the beginning of the season, thought good enough to contest a couple of Derby trials and a Group 3 in France and, for all he went close in a couple, he clearly wasn’t up to that level at that stage of his career. He was given a break after and showed a chunk of improvement for it when only narrowly touch off in a useful handicap at York last month, not for the first time showing his liking for some ease underfoot (his sole win came on heavy ground). His promising young rider perhaps got the fractions wrong that day, My Lord And Master finishing with a flourish from the rear, and this looks an obvious race for him. A 4 lb higher mark in what looks a stronger handicap may leave him vulnerable from a win perspective, though. 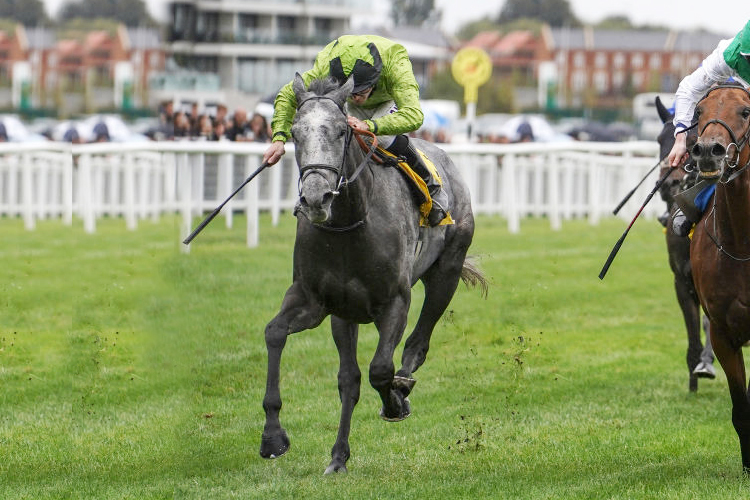 The Clive Cox-trained Now Children has always been well regarded by connections, and he is another who is very much at home on testing ground. He won twice as a two-year-old when trained by Iain Jardine, and has progressed nicely in a light campaign this season, winning two of his four starts. His latest success at Goodwood represented a clear career best, staying on strongly to beat the reopposing Wolf Country by four and a half lengths. The latter is now 6 lb better off with Now Children and, while the ground might be a little quicker here, it is unlikely that difference will be enough to reverse the form with the upwardly-mobile Now Children, who still looks feasibly treated. Leading National Hunt trainer Paul Nicholls has been having more Flat runners in recent years, but it isn’t often that he has one in a top-end handicap like this, and Birds of Prey needs noting with that in mind. A good-topped gelding, he has seemingly been bought with jumps in mind, but connections clearly feel his Flat mark is workable having run him solely in this sphere since purchasing him last year. His best effort came when a short-head second in a handicap at Haydock in August, a small-field event that hasn’t really worked out, but he pulled clear with the winner there and has only been raised 2 lb. The prospect of softer ground will also suit him and it wouldn’t be a surprise were he to be involved. Lightly-raced, progressive types have tended to come to the fore in this race more recently, and Buzz certainly fits into that category. He is unbeaten on the all-weather, but showed he is just as capable on turf when winning a mile and a quarter handicap at Newbury last time on his first start on soft ground, and he relished it – just like most of his sire’s progeny do – just managing to reel in one who got first run. The fact he was able to do that over a trip that was arguably on the short side says plenty about his mark and, having been rightly raised 5 lb for that win, the feeling is he could still be ahead of the handicapper. Ian Williams won this race last year with Saunter and the same connections are represented by Reshoun here. He has improved since being fitted with cheekpieces the last twice, winning a mile and three quarter handicap at Haydock in September in smooth fashion, showing more depths of stamina than had previously been the case. On the face of it, a 4 lb rise in the weights looks lenient, and the drop back in trip shouldn’t pose a problem, so another bold bid is expected. Williams is also responsible for Restorer and Baydar, both of whom lurk on attractive marks, and have conditions in their favour. To Be Wild is a hard horse to weigh up on his return from a 539-day absence, but he is potentially well treated if over whatever has kept him off the track all this time. He has been gelded since last seen and his trainer Hugo Palmer marked him out as a potential Ebor horse at the beginning of the season, so it would be folly to overlook his claims, especially if the ground comes up testing. Others to mention include Eddystone Rock , who bounced back to form when a good fifth in a handicap at Naas on Sunday, doing just about all he could from his position in the rear. He is potentially well handicapped now – was beaten just two and a half lengths in third from 9 lb higher in this race 12 months ago – and can be competitive if building on that. This year’s renewal has a very wide-open feel to it, plenty with the right profile for the race, and who should have conditions in their favour, but at the prices, it is Buzz who makes the most appeal. He has gone from strength to strength this year, and the manner of his latest success at Newbury suggests he has even more to offer, particularly now stepping back up in trip. The ground, track and draw should all be in his favour and a big run in expected.